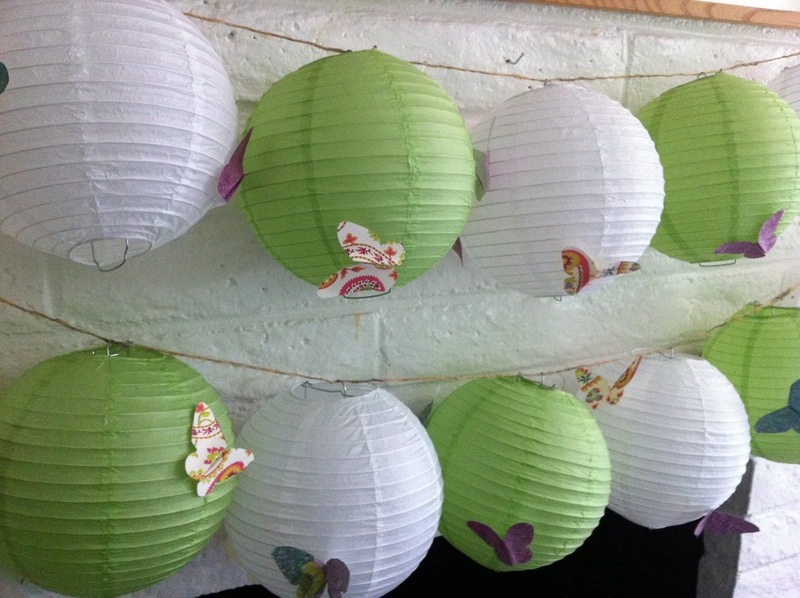 We picked up these lanterns from Michaels, and bought cheap scrapbook paper for the butterflies. The butterfly pattern was downloaded from MarthStewart.com. 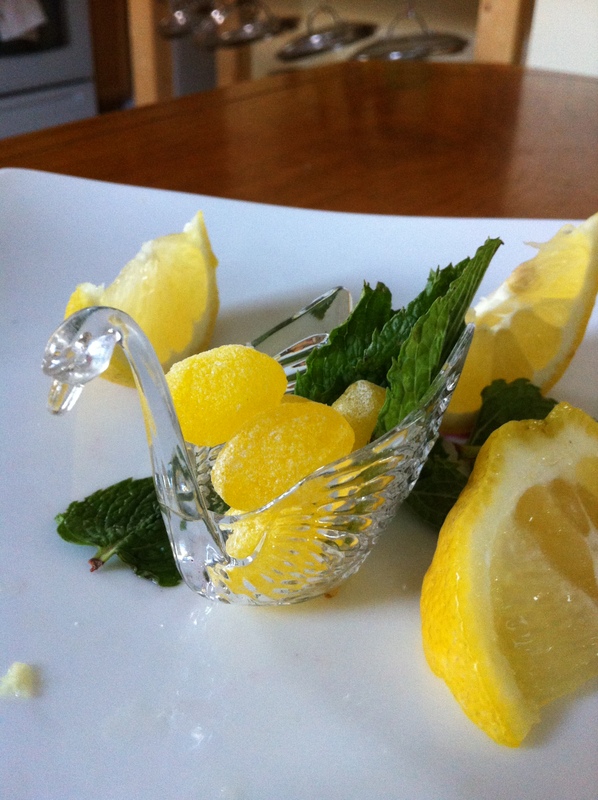 We placed these on the tables for a sweet breath freshener. 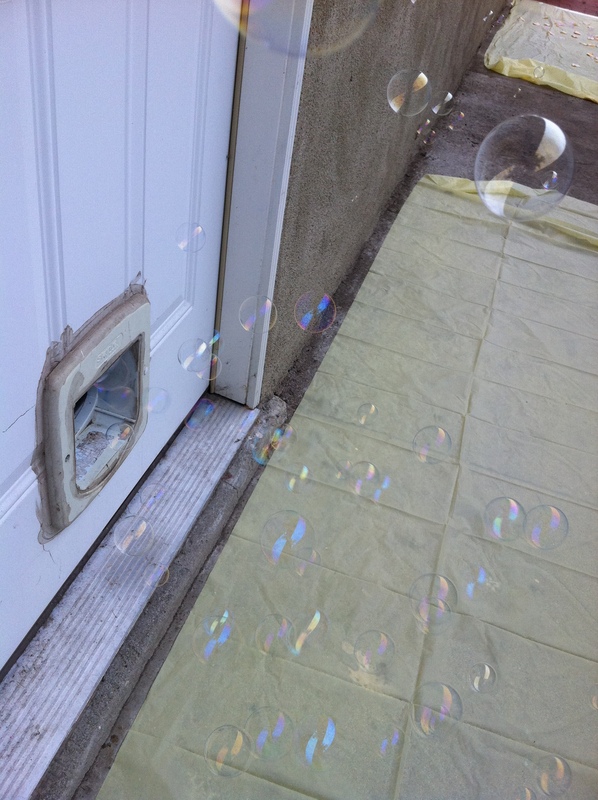 To make the entrance a little more magical, we had bubbles coming out of the cat door onto the walkway to our yard. We dressed up the door and floor more with rose petals, tiki torches from the dollar store, and mint. 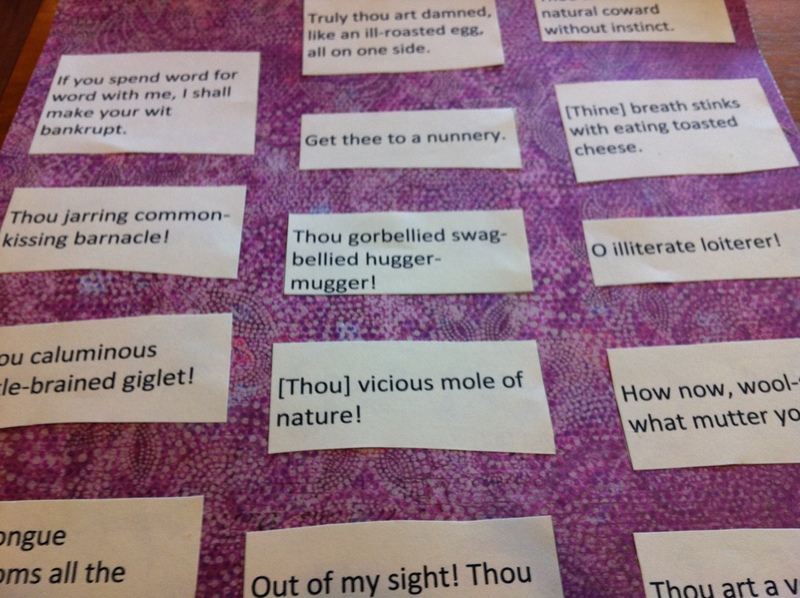 For a fun game, we made insult cards with the use of an online Shakespeare Insult Generator. 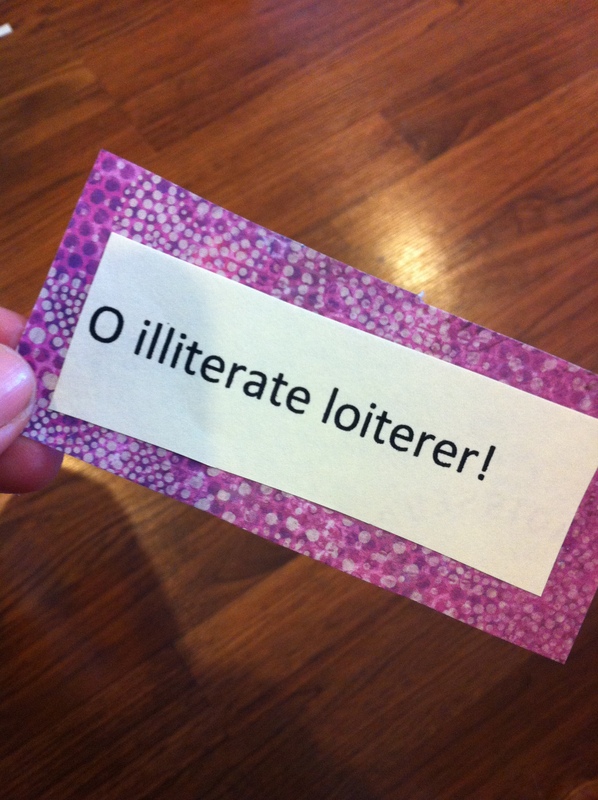 Whenever you heard somebody say the word “mask”, you gave them an insult card. 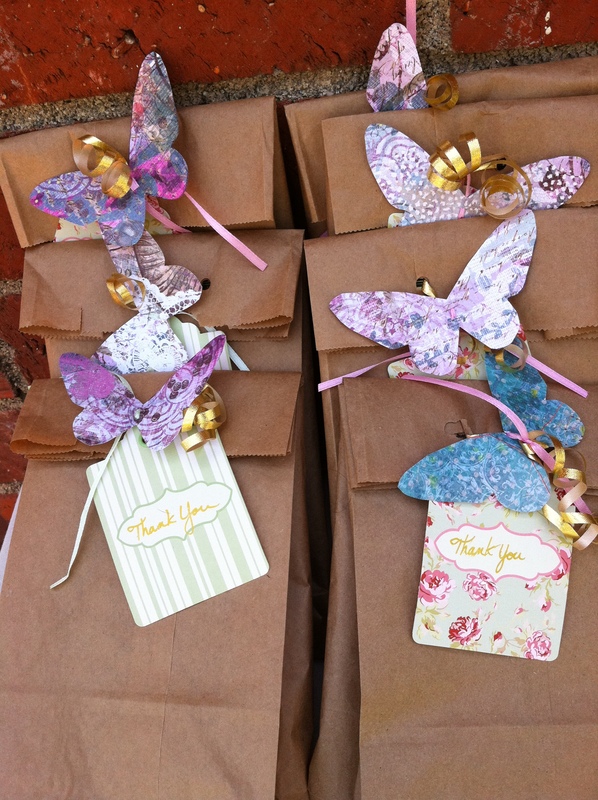 We gave away a copy of “Midsummer Night’s Dream” in the gift bags.